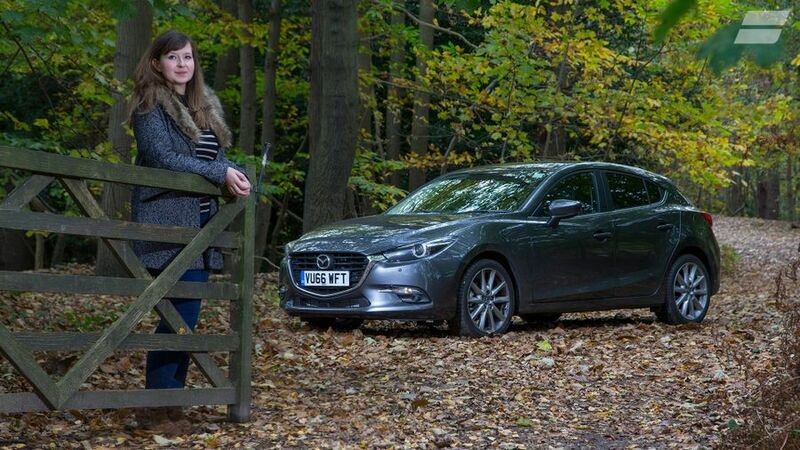 It's time for Digital Content Editor Rachael Hogg to hand back the keys to her Mazda. Here she talks about how it's fared over the past six months. Mazda believes a car is much more than a mass of metal. The company philosophy is to create an emotional bond between a driver and their car, a bit like the relationship between a horse and rider. The time has come to hand back the keys to my Mazda 3, and I think I’ve given it a good run over the past six months. I’ve covered a few more than 7,000 miles, been down to Dorset, and up to Newcastle, and various places in between, including regular trips home from London up to the fun roads of the Peak District. So, how have I got on with my noble steed over the past six months? 1. It’s a sensible and sophisticated car, but still enjoyable to drive and with a hint of exclusivity. I’d say it’s pretty spot on for someone whose head screams, ‘Buy something sensible’, but whose heart still craves a bit of fun. 2. The 2.2-litre diesel engine is great. It’s smooth and quiet at both low and high speeds. It responds well, too, so if you need to get past that person firmly hogging the middle lane on the M6, there’s no need to drop a gear; and, it’s pretty fast, developing 148bhp, and with a 0-62mph time of 8.1 seconds. 3. The steering. It’s well weighted, and you never have to guess where the front wheels are going in corners, so the car is a joy to drive on the twisty roads close to my family home and near the famous Cat and Fiddle Road, high up in the Peak District. The suspension helps here as well. While it’s firmer than on your usual family car, it’s still comfortable and keeps the car nicely balanced. 4. The manual gearbox. It’s got a nice, short action, and definitely adds to the driver involvement. 5. I’ve always found the cabin a very pleasant place to be, which definitely helped on those long slogs up to my family in Macclesfield. The materials are all high quality and everything feels very solidly built. 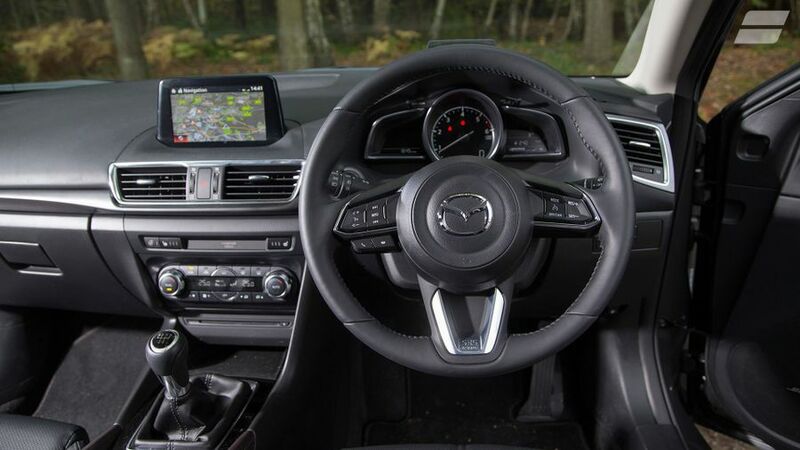 On top of that, you’ve got an excellent low-down driving position, which adds to the sporty feel, with loads of seat and steering wheel adjustment. 1. The sat-nav. When it’s not been taking me through the centre of Slough to avoid a quiet motorway, it’s been trying to save me four seconds by changing my route by several metres, or endlessly yelling, ‘speed camera, speed camera ahead’ at me. Admittedly, it’s always got me where I’ve needed to go, but I’ve not always been the calmest when I’ve got there. 2. The looks. 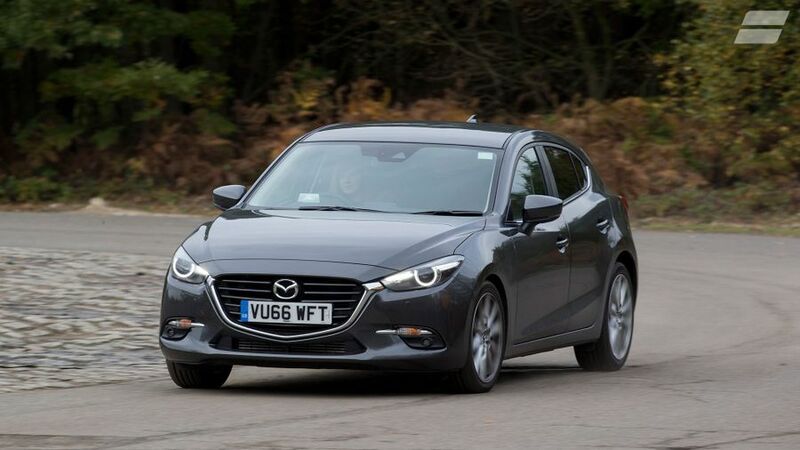 While the Mazda 3 is one of the smarter hatchbacks, it’s still pretty conservative, and I’ve definitely misplaced it a few times in big car parks. That said, I’ll take part of the blame myself, because when I chose the colour, I was thinking about what would hide the dirt, rather than what would make the car stand out a bit more. 3. Visibility. The front view is superb, but there are some big blind spots at the back, due to the swooping design and small rear window. If you're buying a Mazda 3, rear parking sensors, or the very handy reversing camera on my car, are a must. 4. With more powerful versions, like this one, you’ll find it easy to spin up the front wheels if you aren’t careful with the throttle, and that applies whether the road is wet or dry. 5. Practicality. The boot size stacks up well against rivals, and is bigger than most, but the shape isn’t perfect. There’s a big lip to clear, and the wheel arches intrude a bit into the load bay. 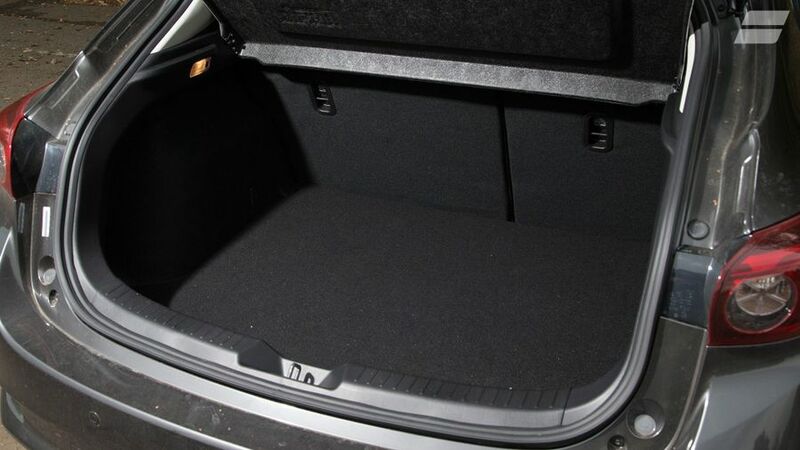 However, the boot has always been big enough for me, whether that’s been loading up for outdoor weekends away, driving home for Christmas, or being really indecisive and completely over-packing for trips to see friends. 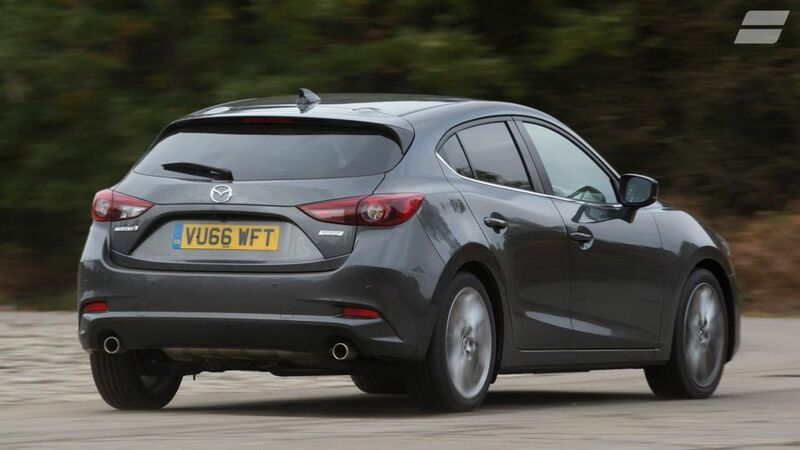 The hatchback class is fiercely competitive, and the Mazda 3 is up against some really decent rivals, like the Volkswagen Golf, Ford Focus, and Vauxhall Astra. However, it stands up to all of them, and it’s a rarer sight on UK roads. So, if you want to avoid being another sheep in the herd, it’s an obvious choice. It’s been a great car for me and my life, too. Maybe I didn’t need something as big as a hatchback, but I’ve never had to worry about a lack of space, and when the car has had five people in, I’ve known everyone will be happy and pretty comfortable, and that there will be enough room for everyone’s bags. Over the past six months, my noble steed has proven itself in any environment, with no major niggles. It may be one of the dark horses of the hatchback class, but I'd say I have developed an emotional bond with it. It looks like the Mazda philosophy rings true this time.